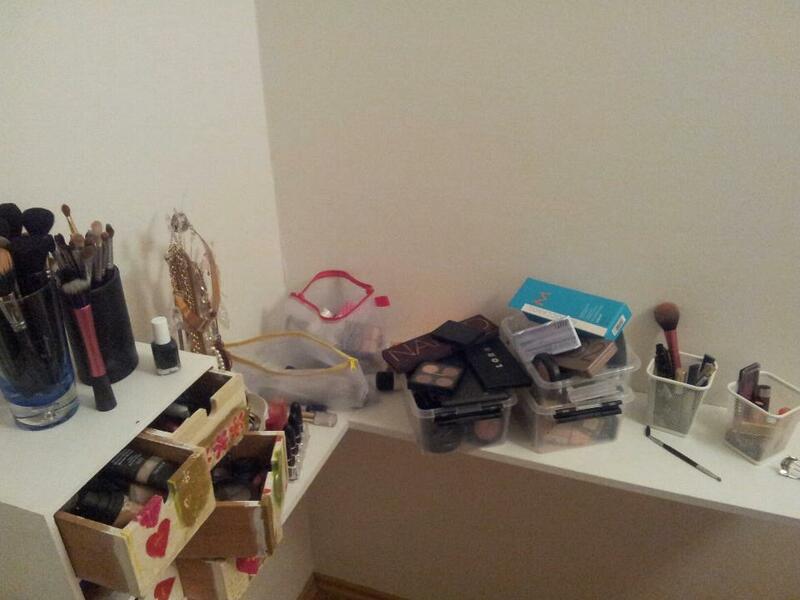 About two months ago, my boyfriend and I moved into our first apartment together (happy times♥) and after watching every single "make up collection" video on YouTube I got very excited! Our apartment isn't very big. 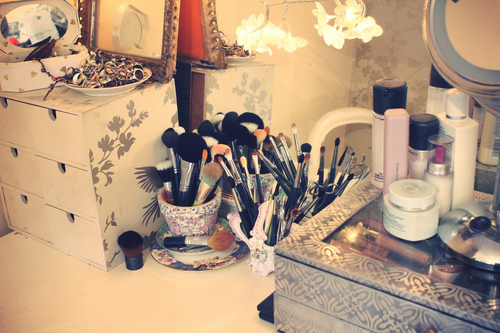 Sadly, I wont be able to have one room just for my make up and shoes.. So I walked around the apartment a few times and I found my spot. It's in the corner of our bedroom. It's nothing fancy but it will do just fine! I asked my dad if he could help me with finding shelves and he found just what I wanted. The shelves are now up on the wall, most of my make up is there and now it's time to make everything look nice and organized! 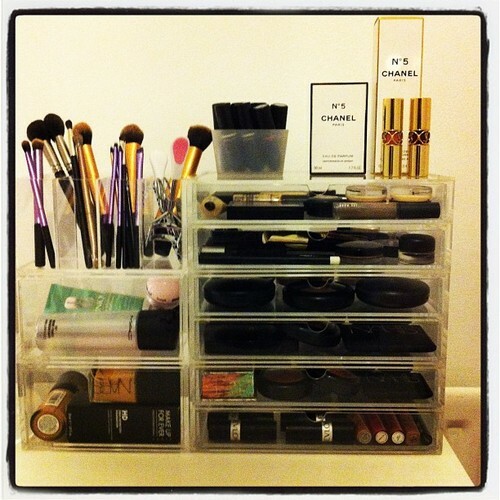 I have found a temporary way to store my everyday items until I buy everything I need. I really like the MUJI acrylic drawers and I will probably end up getting them, I just have to decide on which ones I want. 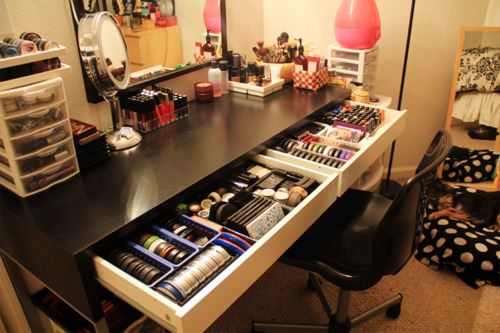 I also really like the Alex drawers from Ikea. Then I also need a big mirror, a pretty chair and I would love to have some Hollywood lights! This is what it looked like for a few days.. pretty, eh? 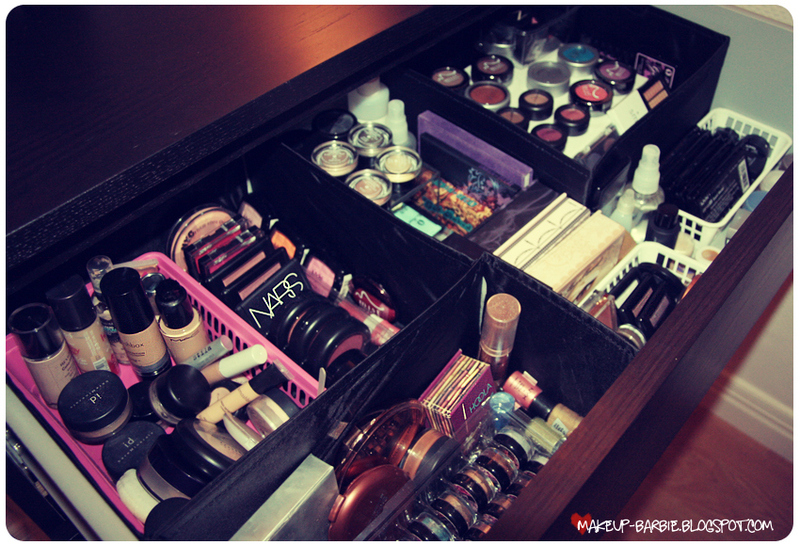 The MUJI drawers that I have been eyeing. 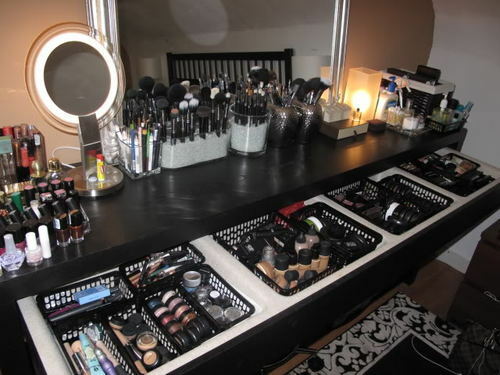 Here are some pictures I found online of make up collections. Don't they just make you drool? !